45 miles of scenic, car-free, broken-stone roads wind through Acadia, creating a stellar hiking and biking system throughout the park. Navigate the 100-year old roads on foot, bicycle, horseback, or in a carriage. 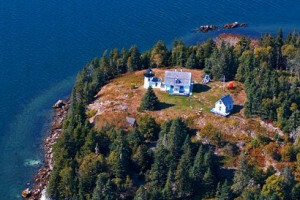 Hike or cycle over the 45 miles of well-maintained carriage road that meanders through Acadia. Keeping with the natural contour of the land, you can pedal over 17 stone-faced bridges, past a dozen ponds and lakes, and up gentle grades as you check out the endless Maine landscapes. You’ll have plenty of room and a smooth ride on the 16-foot-wide roads studded with coping stones - large blocks of granite that serve as guardrails. And there’s no need to watch out for cars – the roads are motor vehicle-free. 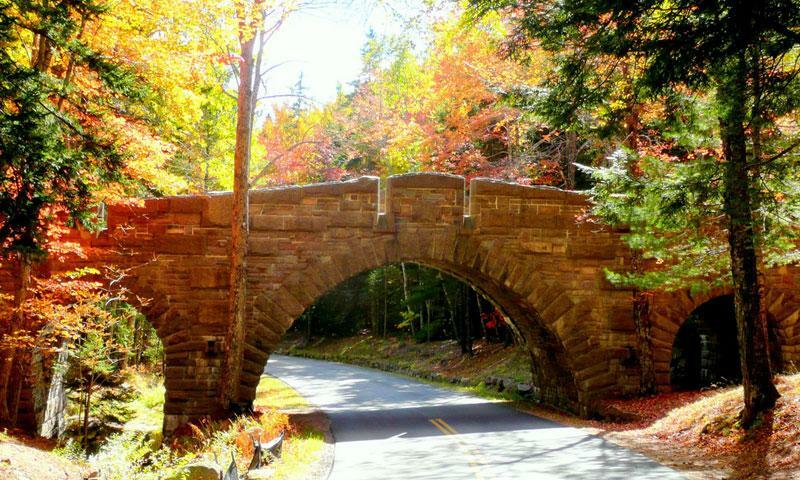 A gift from and brainchild of John D. Rockefeller Jr., the roads were built from 1913 to 1940, and are still open today for the benefit of hikers and bikers in the park. The carriage roads are accessible from numerous different points in the park. The Bicycle Express, which runs at half-hour intervals from June 23 through September 30, shuttles bikers from Bar Harbor Village Green to Eagle Lake where they can pick up the carriage road system. Carriage roads are accessible year round, though most of the access points along Loop Road are closed December 1 through April 14. Cars aren’t allowed on these broken-stone roads, and bikers aren’t allowed on hiking trails, so the carriage road system is a super highway for cyclists. 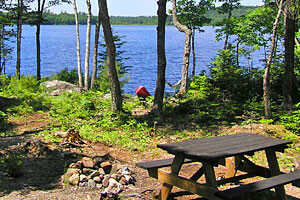 Start at Eagle Lake or Duck Brook Bridge near Bar Harbor – with a map, its easy to customize and navigate your own route. 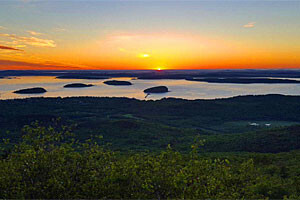 Sans wheels, start at the Parkman Mountain parking lot, take a stroll along the carriage road, then break off on a trail for a heart-pumping hike up 1,373-foot Sargent Mountain, Acadia’s second tallest mountain. For an old-fashioned adventure, ride horseback or charter a horse-drawn carriage ride from one of the local providers below. The small portion of the carriage road that falls outside of the park boundaries, mostly around Seal Harbor, is closed to bikers.